While numbers vary widely and no comprehensive studies have been conducted, the National Organization for Albinism and Hypopigmentation estimates that in the United States, one in 17,000 people has albinism, while the U.S. National Library of Medicine puts the figure worldwide at one in 20,000. 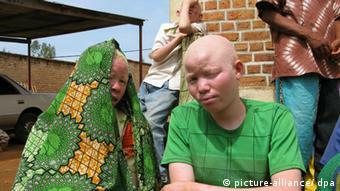 However, in Africa, albinism occurs at higher rates than in much of the rest of the world. According to a report of the Office of the United Nations High Commissioner for Human Rights (UNHCR), one in 5,000 to 15,000 people has albinism. The lack of melanin produced by those with albinism leads to a very fair appearance, sensitivity to sun exposure and an increased risk of developing skin cancer. But contrary to popular belief, the condition cannot be identified solely by the outer appearance of those with albinism. What many people don’t know is that albinism is mainly diagnosed by an eye examination first: The lack of melanin affects their vision and makes it very hard for many people with albinism to see properly. Moreover, their eyesight is sorely afflicted by a high sensitivity to light – the reason why many people with albinism depend on sunglasses to protect their eyes from the sun. Most people affected by albinism lead normal lives, although depending on where they live, a lot suffer social isolation. In our episode #dealwithme, we tell the story of one of them. Leonidah has faced harassment and even murder threats in her home city of Nairobi, Kenya. 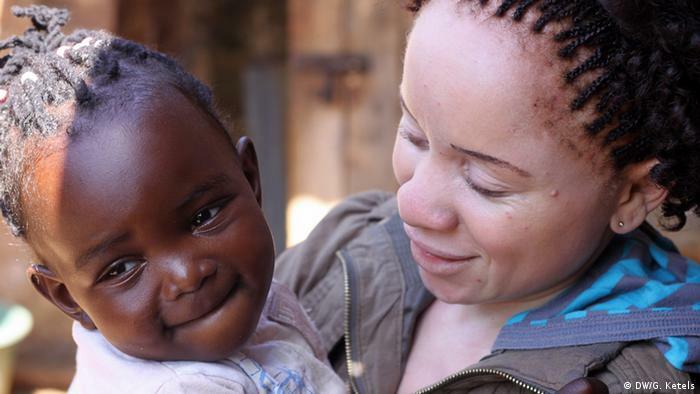 In many other African countries, where people with albinism are recognized more easily, it can be even worse. Many face persecution. All these beliefs could of course not be further from the truth! But they lead to some people with albinism being forced to live as outcasts, or being brutally killed – for their body parts or as a sacrifice. Being discriminated against just because of their appearance is a reality that many people with albinism have to deal with. It makes Leonidah’s story all the more inspiring. As ever, we at Life Links would love to hear your story too. Let us know if you have albinism or thoughts on this that you would like to share.